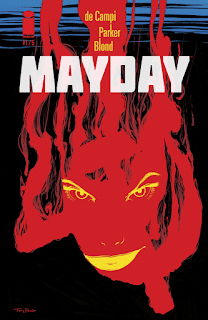 The Fellowship was fortunate enough to obtain a copy of MAYDAY #1 from Image Comics. Alex de Campi writes and letters, Tony Parker draws, and Blond colors. It’s 1971, and one of the CIA’s best Soviet informants is being forced to defect. Felix and Rose are the local KGB assets, however, and they make quick work of the defector in LA and head off to report to their San Francisco contact. They then get invited to a party when they stop for gas, and that’s when the fun really begins. Though the CIA is having less fun for sure. There’s a twist near the end (which I’m not going to spoil) that really gets the story started in terms of the road trip. (The bottle of vodka helps too.) The two big questions this book asks are “how are they going to get out of this?” and “how high is the body count going to be?” That it’s set in California in the Cold War just helps to up the stakes. And the art has a smooth realism to it – except when reality goes wonky, which also looks fantastic. This is, of course, a very clear story about the journey home. Or at least the drug-addled ‘70s version of it. And in a weird way, I kind of want to see if Felix and Rose can make it home. 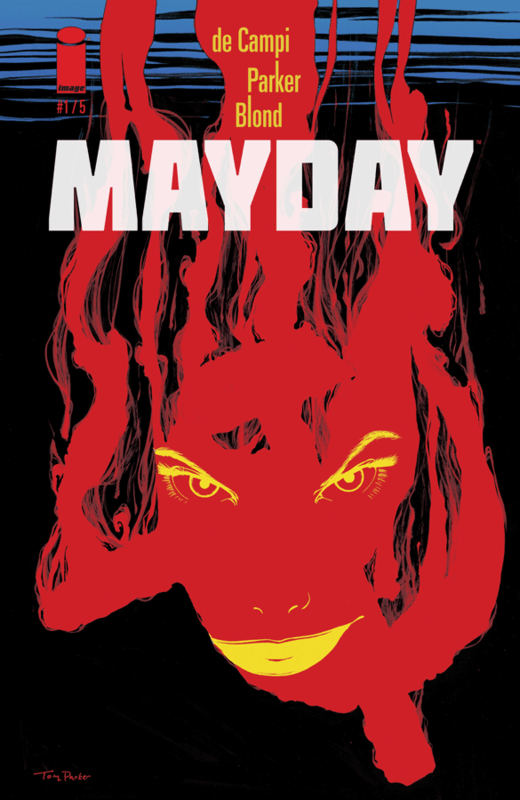 MAYDAY #1 is available now at your FLCS or at imagecomics.com.